Get ready for your collective nostalgia monocles to pop, because the soundtrack for the new Beauty and the Beast is finally here. Disney has released the full soundtrack on YouTube and Spotify, giving us a peek at how the live-action reboot has interpreted the iconic music of the original film. There are some definite stand-out performances. 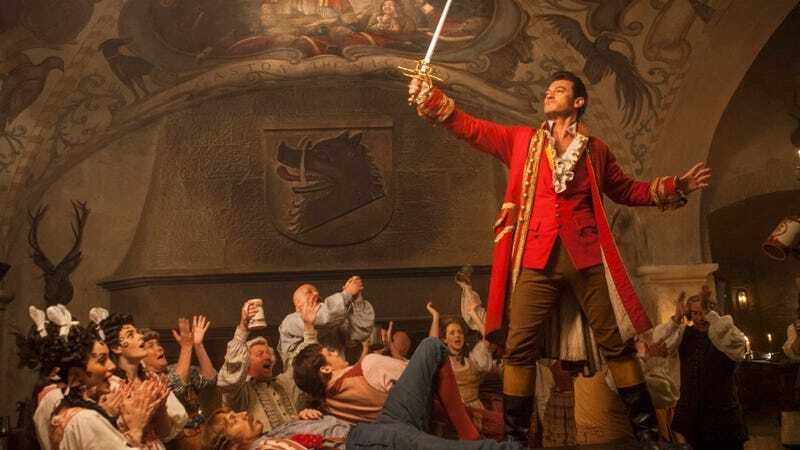 “Belle” is big and fun, “The Mob Song” really conveys Gaston’s menace, and “Gaston” is set to be one of the movie’s crowning moments, with some bright and engaging performances. Honestly, any song with Luke Evans is immediately improved by his presence. There’s also a new song by Céline Dion called “How Does A Moment Last Forever.” It’s great, of course, because Céline is great. Of course, as Belle herself has taught us many times, you shouldn’t judge a book by its cover. Any musical soundtrack is going to suffer from lack of visuals, so I’m going to wait and see (and listen) for myself when Beauty and the Beast comes out March 17. In the meantime, take an audible gander for yourself. “Gaston” has a pretty hilarious line from LeFou about his reading comprehension skills.